The Vicky Kaushal and Yami Gautam starrer that entered the theatres in early 2019 has been acclaimed by all the sections of people. All of this success is nothing but a fruit of the stunning storyline, talented actors, and the ingenious marketing strategies that kept Uri in the race till today. With the brilliant marketing campaigns held by the team, the movie’s promotion has excelled on attracting the audience of all fronts. Lead by the Trigger Happy Entertainment Network (THEN), RSVP’S Uri – The Surgical Strike has garnered the right attention from all kinds of people and has shown the movie industry a new era of marketing. If you haven’t watched the movie yet, then watch URI now while we brief you through the quirky yet brilliant marketing ideas that came along with it. 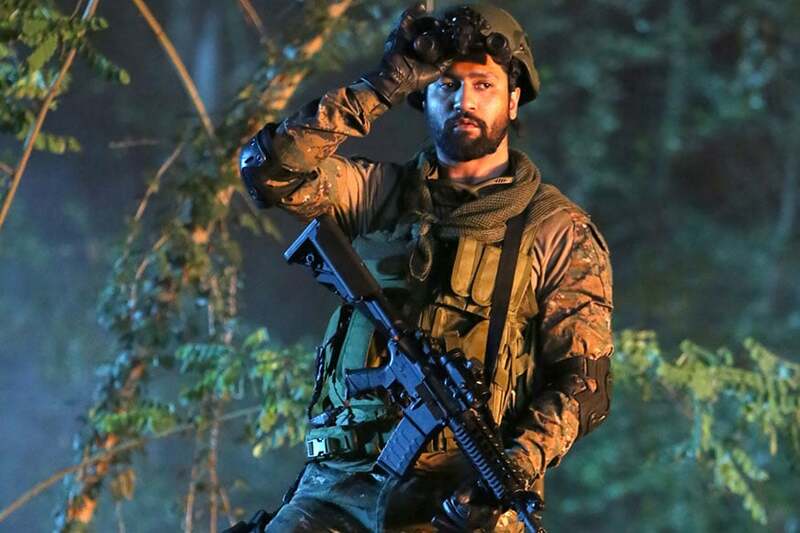 The Vicky Kaushal and Yami Gautam starrer Uri: The Surgical Strike, that released in early 2019, has been praised by all the sections of people. All of this success is nothing but a fruit of the stunning storyline, talented actors, and the ingenious marketing strategies that kept Uri: The Surgical Strike in the race till today. With the brilliant marketing campaigns held by the team, the movie’s promotion has excelled on attracting the audience of all fronts. Lead by the Trigger Happy Entertainment Network (THEN), RSVP’S Uri: The Surgical Strike has garnered the right attention from all kinds of people and has shown the movie industry a new era of marketing. If you haven’t watched the movie yet, then you should watch Uri: The Surgical Strike now. But before that, let us brief you through the quirky yet brilliant marketing ideas that came along with it. The first marketing campaign that gained anticipation among the audience about the movie is the “Strike” videos. Generated and executed successfully by the Trigger Edge, these videos are five promos named as Night Vision, Revenge, Stealth Mode and others that were part of the film’s narrative. This was the beginning of the attention-grabbing process of the movie’s promotions. Briefly after this, they came up with #UriDeceptiveStrikes that came up as a surprise to most of the people watching them. They conducted a press conference with Yami Gautam where she was asked a bunch of questions by the team. 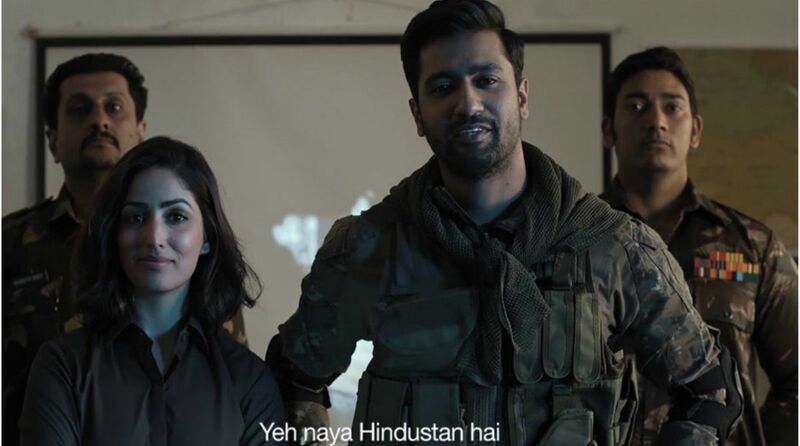 When the question about the surgical strike popped up, all the soldiers along with Vicky Kaushal resurfaced from behind, showing the theme of the entire movie. It turned out they were standing in the background the entire time and went unnoticed until the end, talking about how they want to attack their enemies in silence in their movie Uri: The Surgical Strike. The marketing team of Uri went to another level and collaborated with Google Assistant through Dentsu Webchutney. They made a clip of Vicky and Yami interrogating with a suspected terrorist while asking their audience to do the same through the Google Assistant. The audience just had to say ‘talk to the surgical strike’, and they would get the opportunity to interrogate the terrorist themselves. This marketing campaign was a massive success and was lauded for its smart use of tech. People have been talking to Google Assistant about this and sharing videos of the same on social media networking sites like Instagram and Facebook and spreading the word about the movie. Using the famous hashtag #HowsTheJosh, all the actors and crew of Uri especially the lead actors have garnered the attention of the viewers by encouraging them to chant their dialogue “How’s the Josh? High Sir!” and upload videos about the same. This strategy has helped them reach every single person in households of the viewers, pulling them all to the screens to see about how high the josh is! Even after releasing the movie, the makers of Uri have been keen on avoiding piracy to help their business from collapsing. When they noticed the torrents uploaded on the website, they took them down and instead replaced them with a 3.8 GB video that they made by themselves. Falling in the trap, a lot of people have downloaded and opened the video to find the lead actors Yami Gautam and Vicky Kaushal asking them not to watch pirated movies and encouraging them to watch the movie at the theatre. They also depicted how they carried out a ‘surgical strike’ on the audience who wished to watch the movie through piracy. This has impacted a lot of viewers who saw it as a brilliant move. Keeping aside the striking marketing campaigns, Uri: The Surgical Strike made its place in the hearts of the viewers through the wonderful taking of the movie alongside actors who gave their best. The first marketing campaign that gained anticipation among the audience about the movie is the “Strike” videos. Generated and executed successfully by the Trigger Edge, these videos are five promos named as Night Vision, Revenge, Stealth Mode and others that were out of film content. This was the beginning of the audience attention on the process of the movie. Briefly after this, they came up with #UriDeceptiveStrikes that came up as a surprise to most of the people watching them. They conducted a press conference with Yami Gautam where she was asked a bunch of questions by the team. 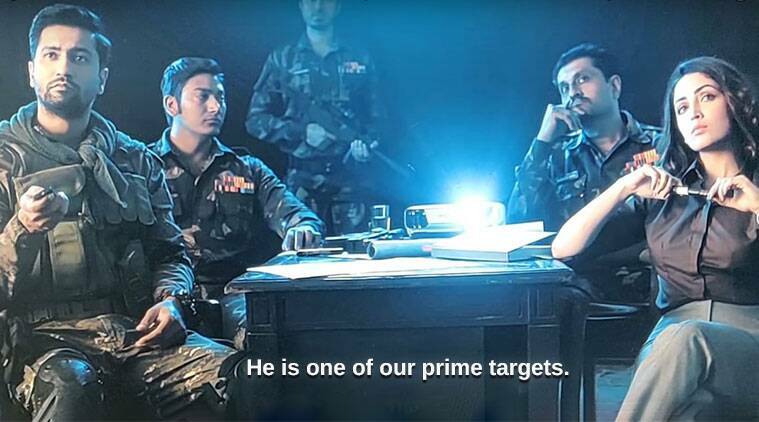 When the question about the surgical strike popped up, all the soldiers along with Vicky Kaushal resurfaced from behind, showing the theme of the entire movie. It turned out they were standing in the background the entire time and went unnoticed until the end, talking about how they want to attack their enemies in silence in their movie Uri. The marketing team of Uri went to another level and collaborated with the Google Assistant through Dentsu Webchutney. They made a clip of Vicky and Yami interrogating with a suspected terrorist while asking their audience to do the same through the Google Assistant. The audience just had to say ‘talk to the surgical strike’, and they would get the opportunity to interrogate with the terrorist themselves. This marketing campaign went to leaps and bounds that reached the audience on a larger front. People have been talking to Google Assistant about this and sharing videos of the same on social media networking sites like Instagram and Facebook and spreading the word about the movie. Using the famous hashtag #HowsTheJosh, all the actors and crew of Uri especially the lead actors have garnered the attention of the viewers by encouraging them to chant their dialogue “How’s the Josh? High Sir!” and upload videos about the same. This strategy has helped reach every single person in households of the viewers, pulling them all to the screens to see about how high the josh is! Even after releasing the movie, the makers of Uri have been keen on avoiding piracy to help their business from collapsing. When they noticed the torrents uploaded on the website, they took them down and instead replaced them with a 3.8 GB video that they made by themselves. Falling in the trap, a lot of people have downloaded and opened the video to find the lead actors Yami Gautam and Vicky Kaushal asking them not to watch pirated movies and encouraging them to watch the movie at the theatre. They also depicted how they carried out a ‘surgical strike‘ on the audience who wished to watch the movie through piracy. This has impacted a lot of viewers who thought of it as a brilliant move and went on to watch the movie in the theatre. Uri – The Surgical Strike released on 11th January 2019 and went on to enter the 100 crore club very soon. Keeping aside the striking marketing campaigns, Uri made its place in the hearts of the viewers through the wonderful taking of the movie alongside actors who gave their best.